At each Annual Meeting of the Parish Council we select a charity of the year which will benefit from any fund-raising activities the PC undertake together with a donation at the year-end. 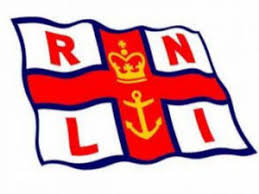 For 2018/19 we are supporting the Eastbourne Branch of the Royal National Lifeboat Institution. Last year it was East Dean Responders, and the four previous years - Beachy Head Chapliancy, Royal British Legion, St Wilfrid’s, and Multiple Sclerosis.